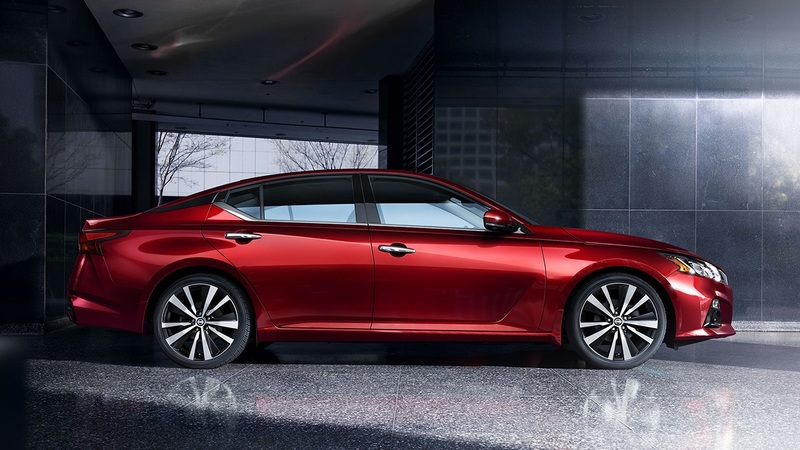 The elegant exterior styling of the Maxima helps separate it from the pack. Not only the Altima’s lights incorporate 100% LED headlamps, but they also help consume half as much power as conventional lighting. The Maxima sits on the most extended wheelbases in its class. If you are interested to learn more about the 2019 Maxima, visit our Nissan dealership near Wesley Chapel FL. When you visit our Nissan dealership, you may notice that this SUV has a gorgeous profile that features a distinctive character with a shaped hood that extends over the grille, providing a slightly aggressive look. It continues to have a modest, sporty stance on the road that combines style with athleticism. 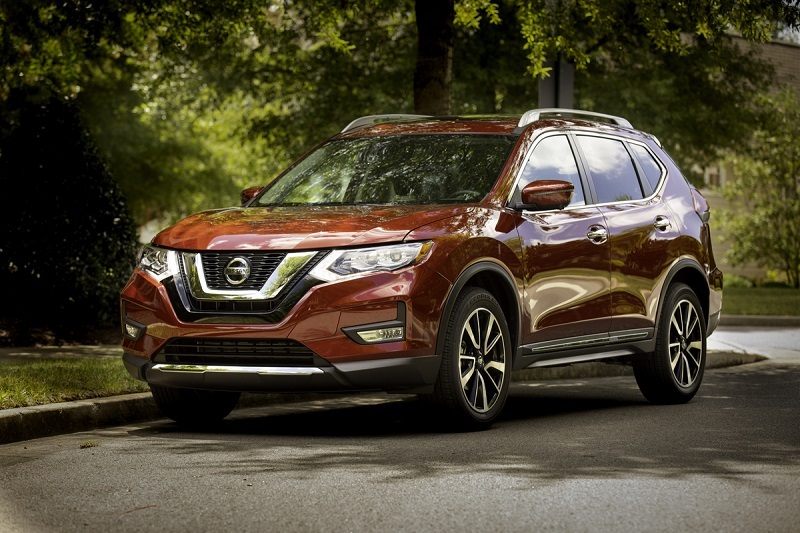 The 2019 Nissan Rogue continues to offer amazing exterior features and add-on packages. The 2019 Nissan Pathfinder offers appealing and progressive body style that is accentuated with attractive exterior colors. The Pathfinder’s exterior equipment adjusts as you step up in trim levels for 2019. The S trim sits on 18-inch aluminum alloy wheels and all-season tires, while higher trims come with larger wheels in different styles. Additionally, the S trim includes LED daytime running lights with LED accent lights, roof rails, a body-colored rear spoiler, dual power-adjustable side mirrors with integrated LED turn signals integrated, rear privacy glass, front solar protection glass and more. The heated side mirrors, a trailer hitch, splash guards, a power liftgate and several other standard and optional features are available on higher trims. Visit our Nissan dealership near Wesley Chapel FL to view the exterior options and packages in person. The 2019 Nissan Altima has an exceptional look that is brought to life through a modern and athletic design. The vehicle sits on beautiful wheels that range from 16 inches to 19 inches depending on the trim. Key exterior features include dual powered side mirrors with optional heating and integrated turn signals, acoustic laminated glass, external ground lighting, all-season tires, intelligent auto headlights, active grille shutters, daytime running lights, a rear diffuser, a power sliding sunroof, multiple exhaust styles and finishes and more. The best place to go to see this vehicle soon in Wesley Chapel Florida is at Wesley Chapel Nissan. Visit our dealership near Wesley Chapel FL to explore all of the breathtaking trims, available exterior colors and upgrades. 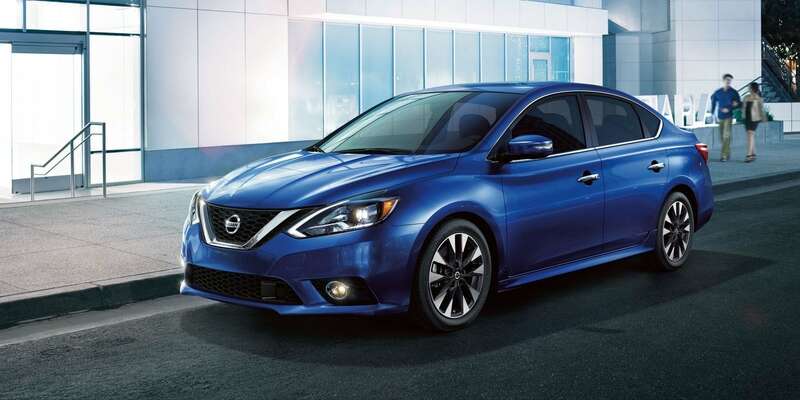 The 2019 Nissan Sentra is hands-down among the most stylish compact cars near Wesley Chapel FL. The athletic and curved appearance help the 2019 Nissan stand out from the crowd, while a pleasant, smooth and discreet profile adds to the Sentra’s attractiveness. It also has its roof higher than any other compact car. Our dealership near Wesley Chapel FL is ready to show you all about exterior features as well as some of many upgrades and packages available for the new Nissan Sentra. 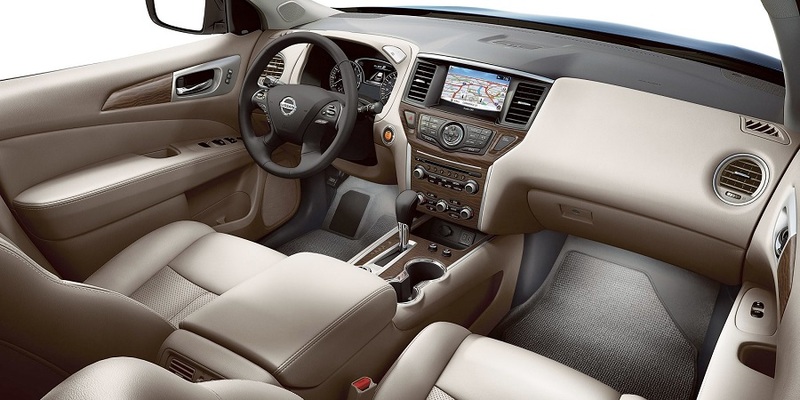 The 2019 Nissan Pathfinder give you a spacious interior with comfortable seating for your whole family and a functional amount of cargo space. While behind the wheel of this vehicle, you will be surrounded by high-tech goodies like Apple CarPlay, Android Auto, USB and auxiliary ports, 12-volt power outlets, HomeLink, Bluetooth hands-free connectivity, a limited complimentary subscription for SiriusXM radio, a navigation system and an infotainment system with an 8-inch color display screen. It also includes well-appointed amenities like a power sunroof, heated and cooled front seats with power adjustments, speed-sensitive volume control, memory functions for the driver’s seat and steering wheel, an illuminated steering wheel with controls for the sound system and intelligent cruise control, Intelligent Key with remote keyless entry, a push-button ignition, remote engine start, advanced driver’s assistance, rear sonar technology, auto-locking power door locks, an Intelligent Around View rearview monitor, one-touch auto-down power windows, and an in-cabin microfilter for the three-zone climate control system. 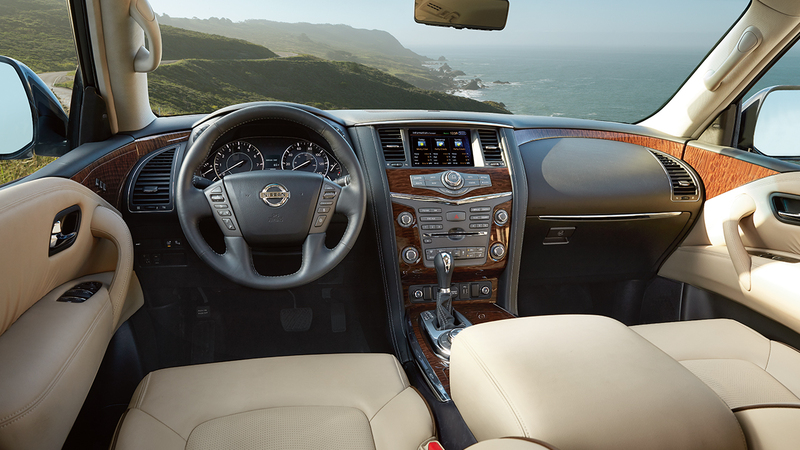 Stop by our dealership near Lakeland FL to learn more about the Pathfinder’s interior features. The 2018 Nissan Armada has an ample space to seat up to eight people comfortably in three spacious rows. Available interior features include modern dashboard, cloth seating and power-adjustable front seat on base trim level, memory front seats with leather material on higher trim levels and more. Visit our dealership near Lakeland FL to see all of the interior features available to you. The 2018 Nissan Armada has been redesigned to extend dimensions, making the car more comfortable and spacious. 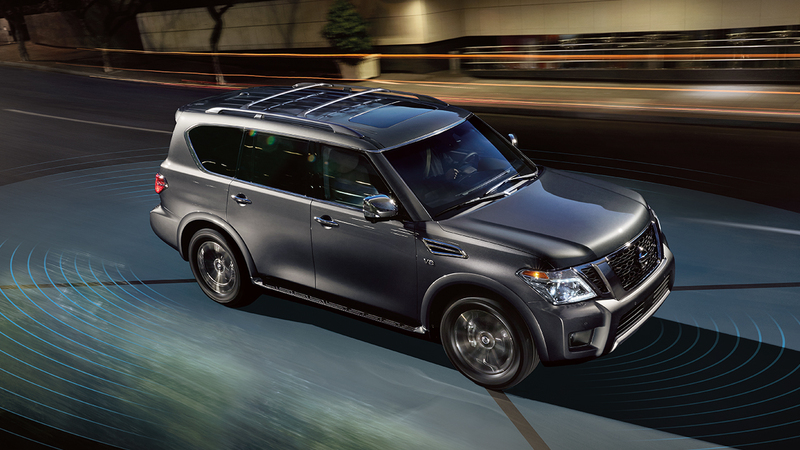 The Armada is a stylish and sporty full-size SUV that has a modest stance on the road. Available exterior features include a horizontal contour line that runs from the grille to the rear liftgate, stylish air intake vents over the front wheels that creates a sporty and capable look, roof rails, body molding and rear spoiler to add to the beautiful exterior design. The vehicle sits on 18-inch aluminum wheels paired with all-season tires. Upper trims come with 20-inch wheels in several different styles and finishes. You will enjoy the LED auto on-off headlight, running boards, over-fenders, chrome door handles, a chrome grille, power-folding side mirrors, integrated turn signals in the side mirrors and more. Come down to our Nissan dealership near Lakeland FL to pick out the car that is just right for you. The 2019 Nissan Sentra comes with a several available wheel options. Base trim sits on standard 16-inch wheels, while upper trims come with 17-inch aluminum wheels. If you want larger wheels, the top-tier Nismo comes with 18-inch aluminum wheels. Available features include heated side mirrors for inclement weather, and halogen headlights for more visibility. The intelligent headlights are available in all trims, while SR trim and higher offers LED lights and fog lights. On lower-level trims, you will get dual power outer mirrors. The SR and higher trims come with integrated turn signals. If you want more style, the Nismo gets special black mirrors. Starting with the SL trim, a power-operated tilt moonroof comes standard. To see all of the trims and explore exterior features, visit our dealership near Lakeland FL. 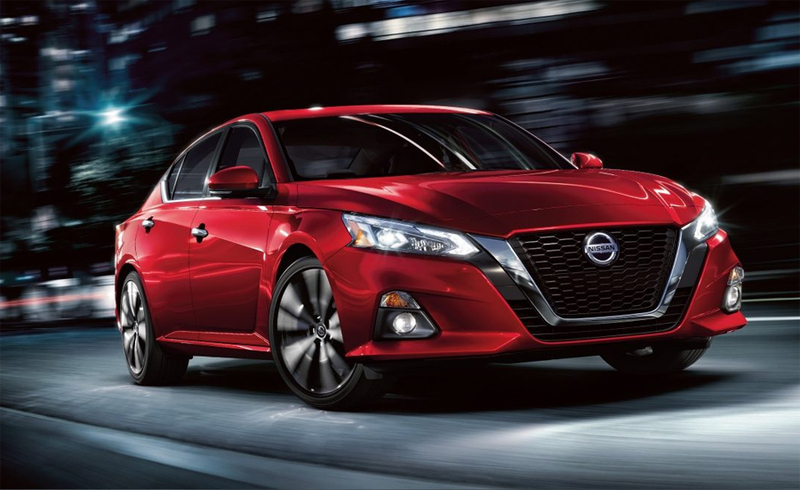 With its retouched modern and athletic design, the 2019 Nissan Altima might be one of the finest sedans in existence. The wheels come in several styles and finishes and range from 16 inches to 19 inches depending on the trim. Available exterior features include dual powered side mirrors with optional heating and integrated turn signals, acoustic laminated glass, external ground lighting, all-season tires, intelligent auto headlights, active grille shutters, daytime running lights, a rear diffuser, a power sliding sunroof, multiple exhaust styles and finishes. To see all of the trims and explore exterior features, visit our dealership near Lakeland FL.